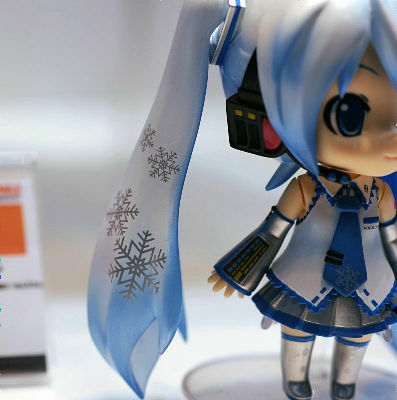 This Hatsune Miku Nendoroid with snow-themed decoration is a commemorative figure to be sold at the site of 61th Sapporo Yuki Matsuri, a time honored snow festival in Hokkaido. It was exhibited for the first time at 61th Sapporo Yuki Matsuri, a time honored snow festival in Hokkaido. 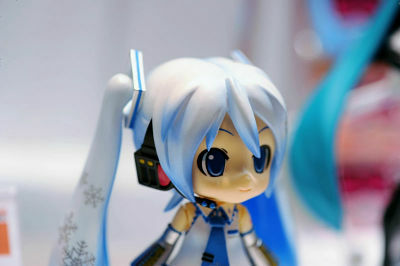 It was exhibited for the first time at Wonder Festival 2010 Winter.
" target="_blank">Wonder Festival 2010 Winter. 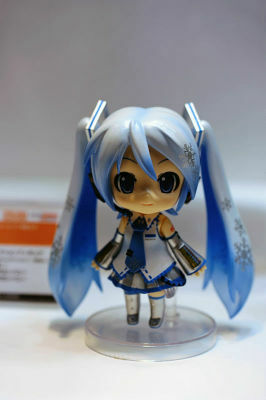 Here's the product, Yuki Miku(Snow Miku). Snow crystal on her hair is drawn with quite a fine line. 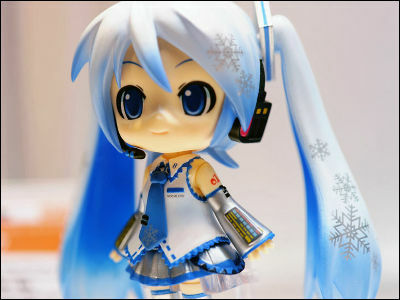 Every color used on her is re-composed in Snowy theme. 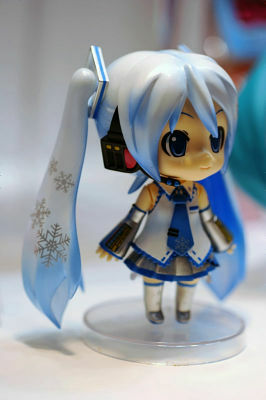 Snow chrystal on her Twin-tailed hair. 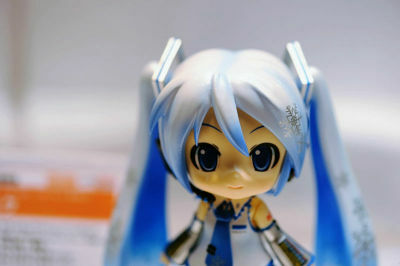 To be sold at 3000Yen(about $33 USD). A standing base is included. About 100mm(4") tall.